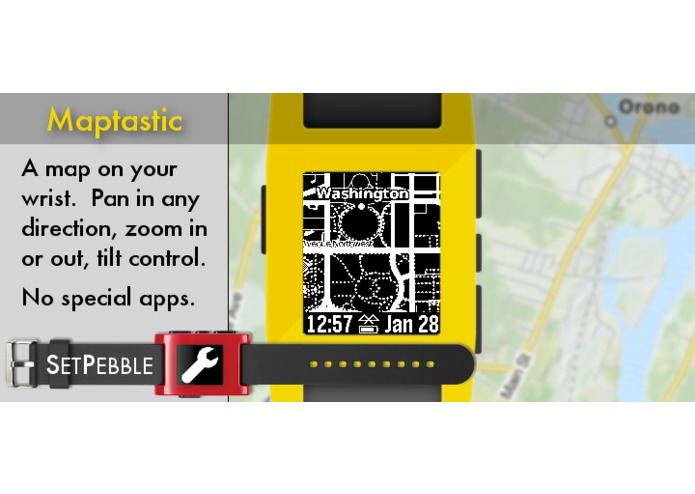 Maptastic is a map on your wrist. You can pan, zoom, and track your location as you move. And it works without requiring a companion app on your smart phone. When the settings menu is activated, you can customize cursor, date format, screen inversion, vibration alerts, battery icon, connection setting, and more. From the home mode, the top button activates the backlight. 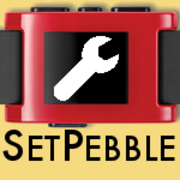 Pressing the bottom button while tilting your pebble watch will pan the map in the tilted direction. 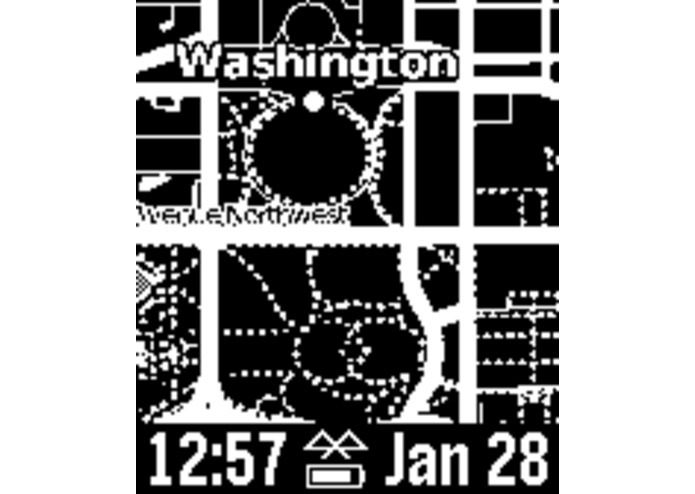 Maptastic uses a commercial mapping service for the tiles, which is why there are premium features for customizable refresh rate and high-accuracy GPS location, activated with a SetPebble.com subscription. If Maptastic is one of the top 16 apps in the ChallengePost contest, then the high-accuracy GPS location feature will be free foreever. If Maptastic wins, all premium features will be free for a year. Please vote for Maptastic!